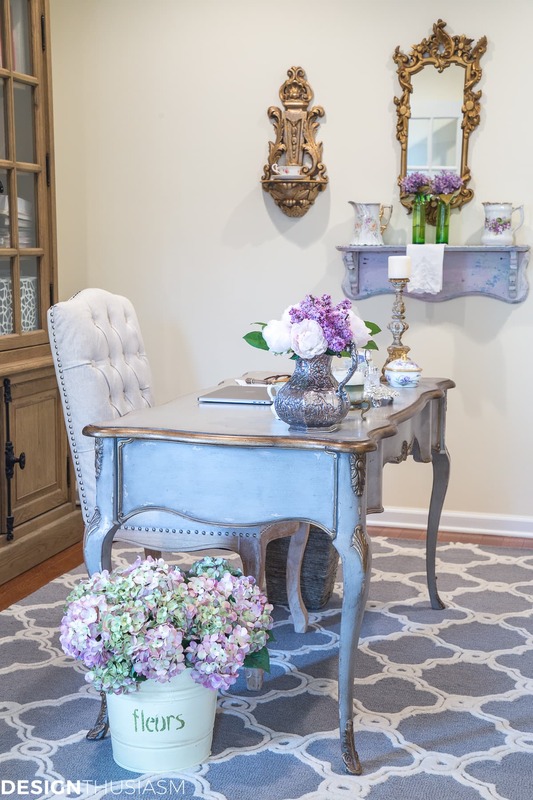 Do you have a work space you love? Whether you work at home or just pay bills and do organizational paperwork, having a dedicated spot that you enjoy working in can make these tasks so much more pleasant. 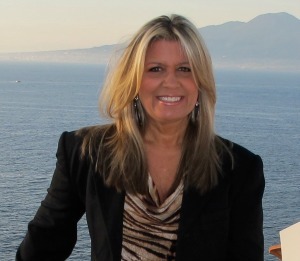 In our old home I had an office I loved, surrounded on 3 sides by windows, overlooking our garden. The study in our new house has only one tiny window and the room is pretty small and dark. It needs all the help it can get in the way of decorating to make it an appealing place to get work done. Because I work at home, I addressed this room immediately after we moved in, and you can see the first round of design decisions in THIS POST. 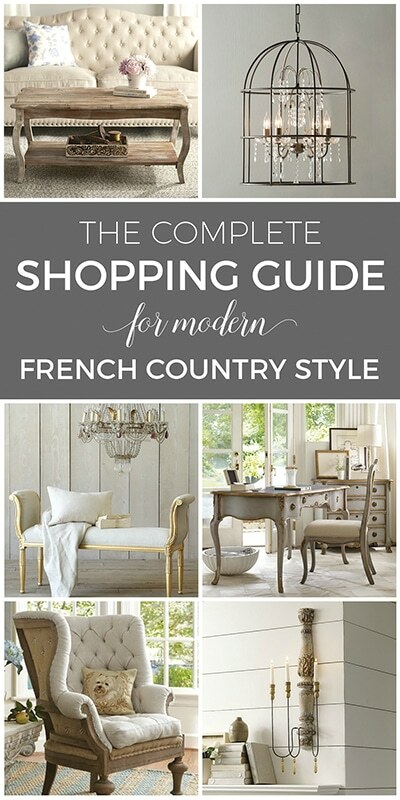 I had started by selecting my lovely French desk and the large casement bookcase for storage. A pretty beginning, but the room lacked cohesion and warmth. While I moved on to other rooms in our home, the office stayed like that for over 2 years. Had I known how simple it would be to pull it all together, I wouldn’t have waited so long for the next update. But sometimes you need to live with a room for a while to know what’s missing and, more importantly, to know how you’d like to refine the aesthetic. 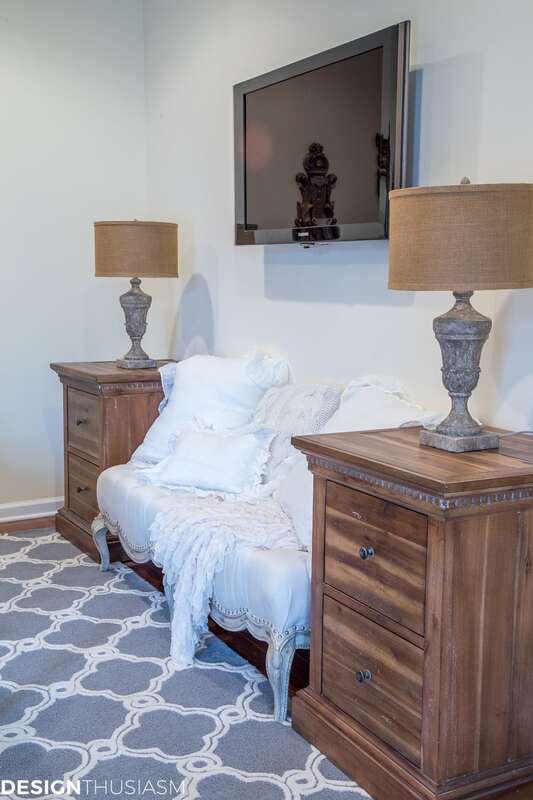 As you can see above, the one element that’s pulled the space together and at the same time added cozy warmth is the lovely quatrefoil rug from my sponsor, Rugs America. 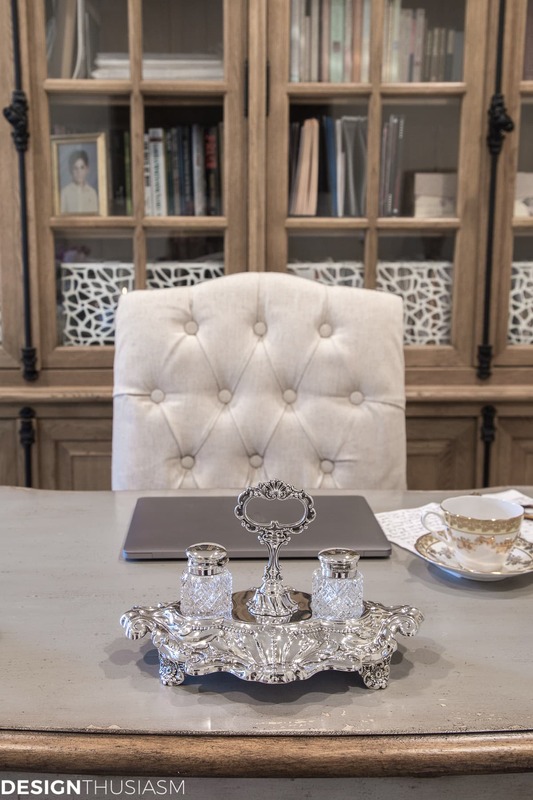 The slate color works perfectly with my desk, yet the modern geometric pattern adds a punch of freshness to the room, an appropriate evolution given my style has matured into a modern version of French Country. 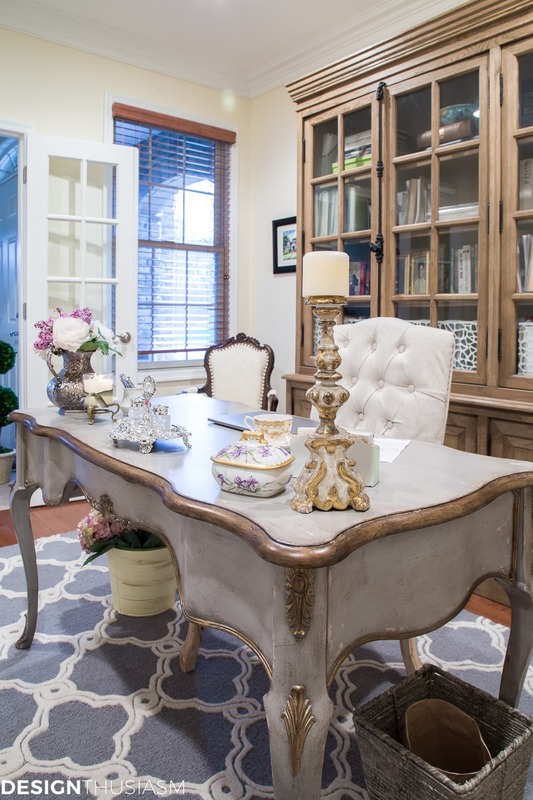 One of the trickier aspects of this room is that it is shared by my husband, who graciously accepted my penchant for French decor, as long as that beautiful curvy French desk was facing a TV. How could I say no? But that made the other side of the room difficult to decorate. We needed guest seating, which had to be placed beneath the TV and I’ve never liked the way this facing wall looks. In the next round of changes, I hope to add a higher backed settee to potentially solve the awkward gap below the TV. Next I focused on some of the decorative items in the room. The wall grouping is unchanged, as it sets the tone for the space and is comprised of many of my favorite design elements outlined in my post The 6 Defining Style Elements I Use In Every Room. I also aimed to simplify the items on the desk, attempting to include only what serves some useful purpose. The desk top had gotten cluttered with too many small items lined up across the top edge, constantly getting in the way when papers were spread out on the surface. Instead I looked to cluster fewer larger pieces in the corners for a more streamlined look. In one corner the candlestick, above, is actually a placeholder for a girandole I have on order. The porcelain trinket box holds our used printer cartridges that are waiting to be recycled (a huge improvement over the old system which had them sitting on the desk top and falling on the floor from time to time!) 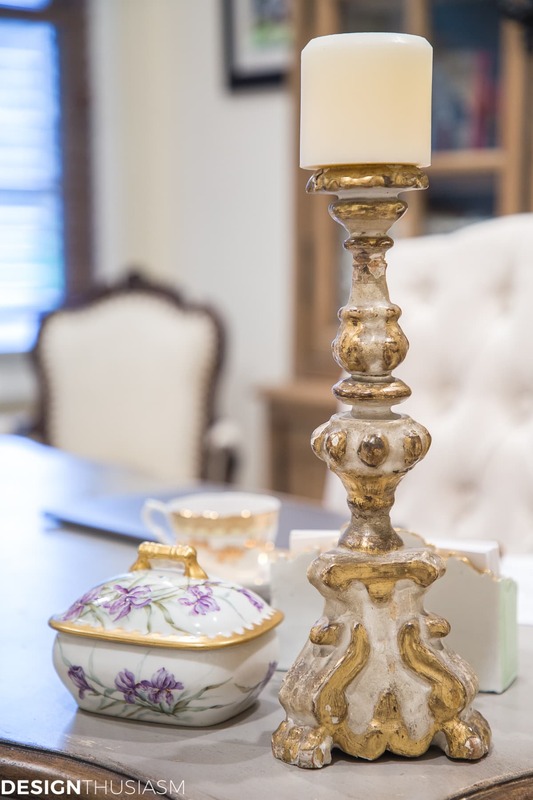 The little porcelain mail holder in front of the candlestick holds business cards and post-it notes. In the other corner sits a silver pitcher, a scented candle and a creamer I use as a pen holder. 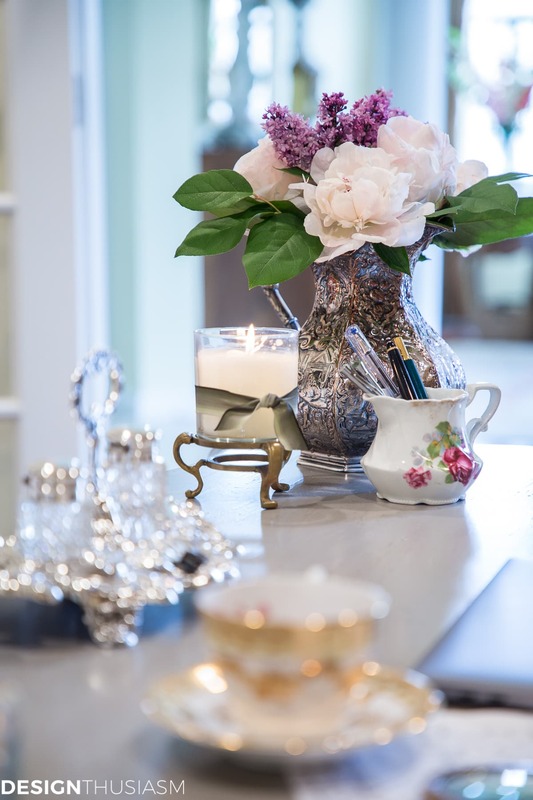 At the center of the desk rests a gorgeous silver ink set, a recent vintage find that deserves this place of honor. I love that there’s space to breath around it, in line with my efforts to stay pared back and organized. You can also see new lattice file boxes in the bookcase behind the desk. 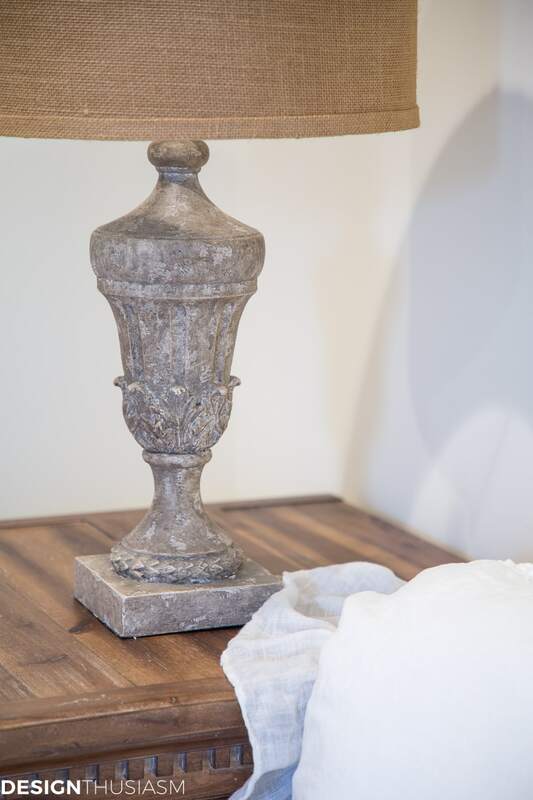 I moved the iron sphere lamps to another room where they work better and replaced them with these softer distressed urn lamps which lend a gentler homier touch to the top of the file cabinets. Tucked in the far corner is a small French chair which is just the right size for the place it inhabits. 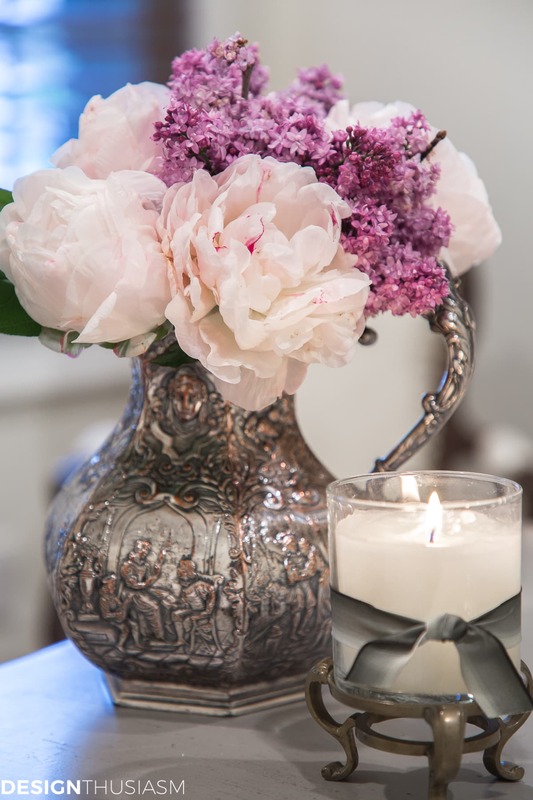 Finally, I added lilacs and peonies which made me want to stay in this room for the rest of the day! I always design my spaces in stages, and this is the second round for this room. I already have plans for what’s next in terms of office decor ideas, but that phase will have to wait. I love when I get to this point with a room, because the bones are set and the fun is in the refinement. For now, I’m enjoying the new cohesive look and I just may be inspired to start my work day earlier because I enjoy sitting in here so much! 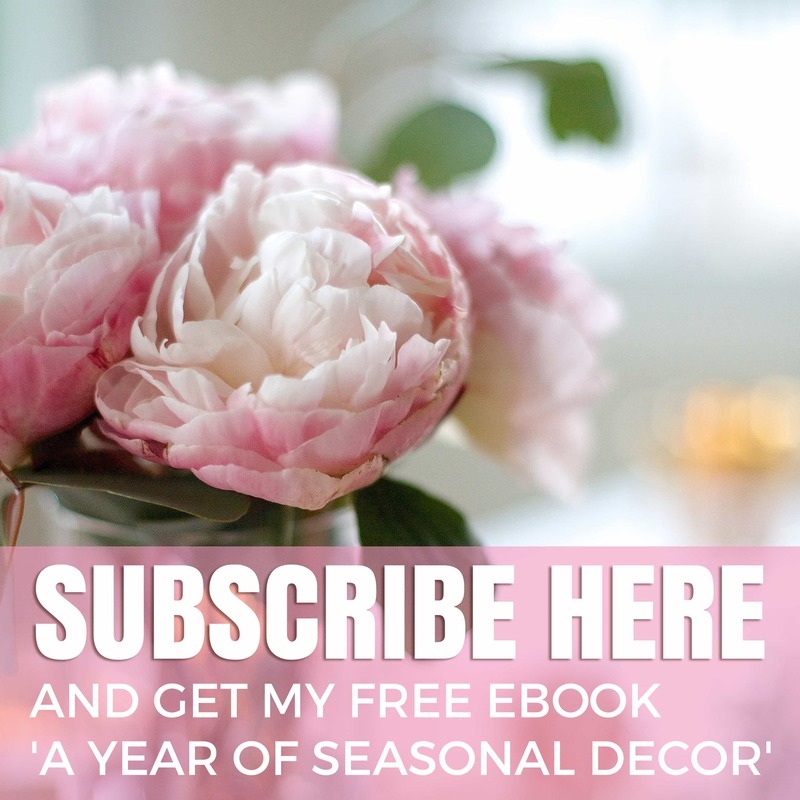 Office Decor Ideas Source List – To get the look, click on the items below for direct links to the products. Where actual items were no longer available, I’ve provided similar options. Ahh, the settee, the flanking file cabinets, and those perfect lamps! 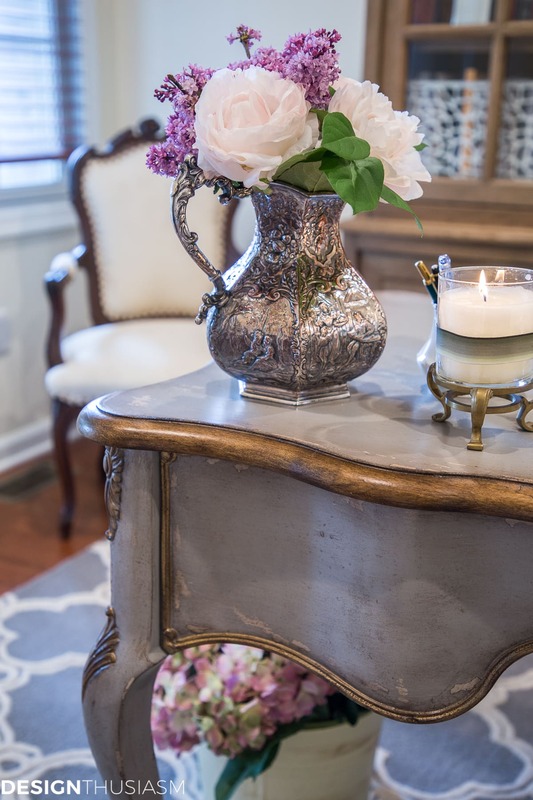 And the little French chair in the corner……it’s amazing in that spot. 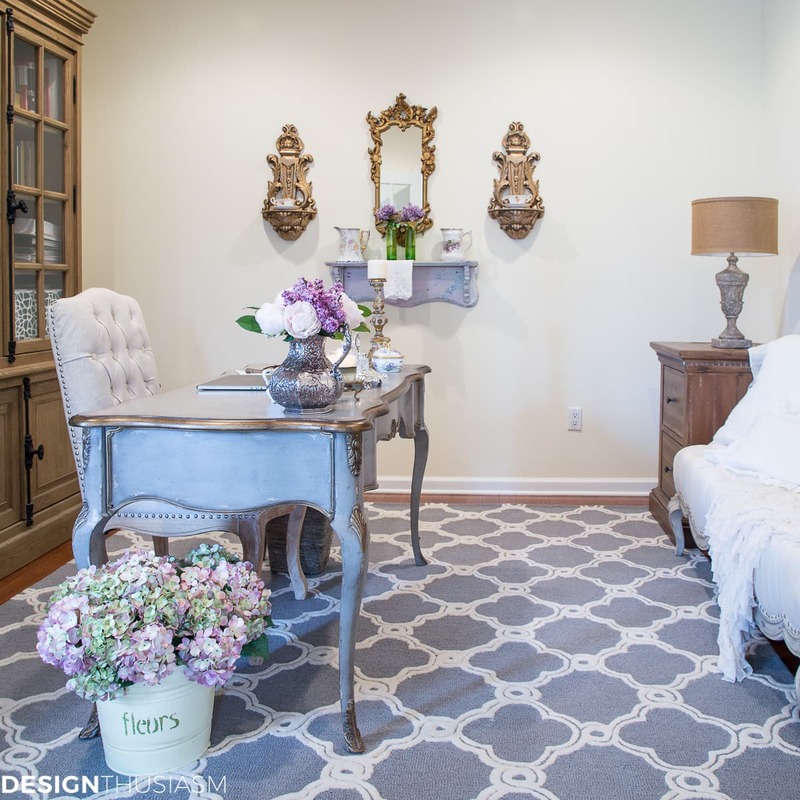 And yes, “that rug really pulled the room together “. ? 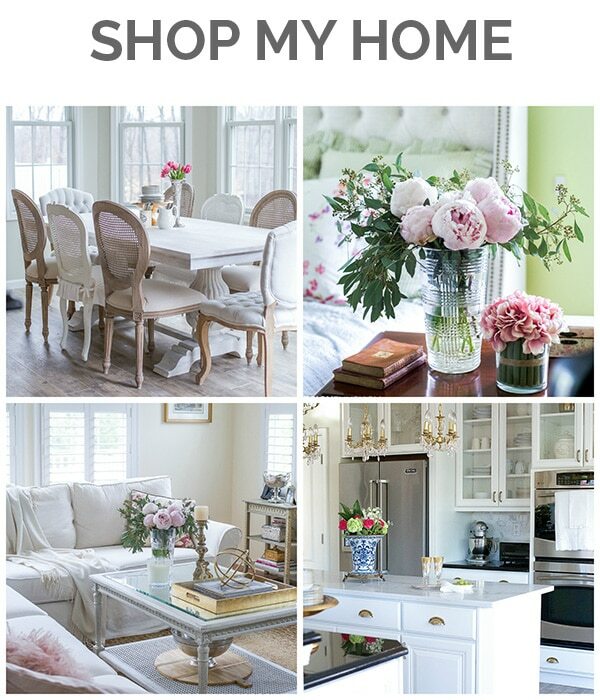 It’s nice to be surrounded by beautiful things when working from home, especially on a blog such as yours. Your desk is perfect! My office is sparse because I share it with my husband who detests “little things” on a desk. I settled for making the bookcase look decorated and hung some pretty watercolours. I might be a little jealous. ? What about a soft pastel throw for the setee? 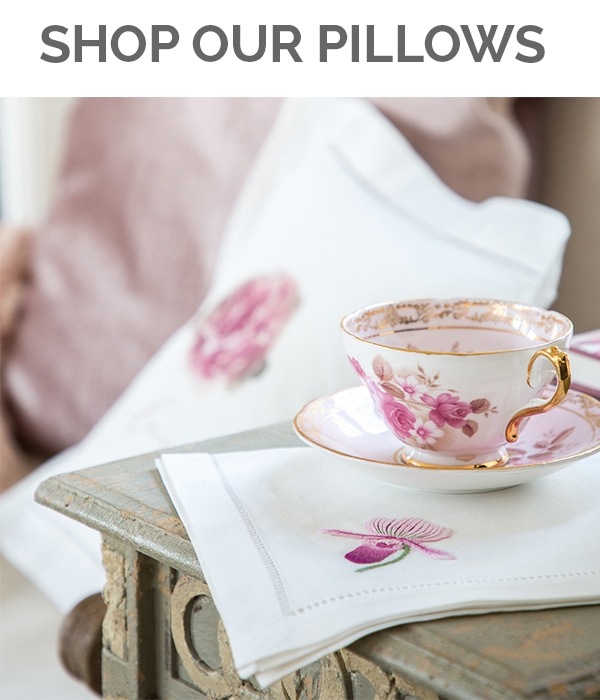 Or a few beautiful soft floral pillows on it? I think that would add a spark of beauty and help tie that area into the flowers by the desk and on the desk. I love the way the office space has come together! 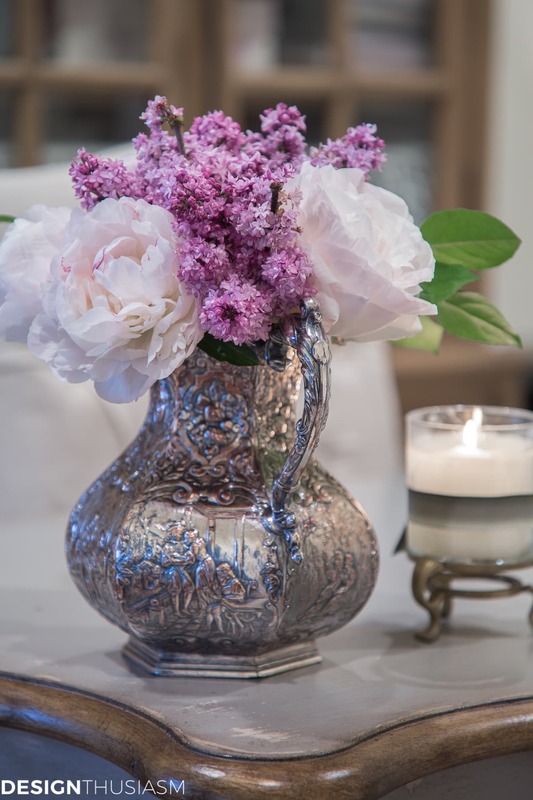 I especially love the silver pieces and use of purple/lavender/and pinks ( purple is my favorite!). Where did you find the trinket box? It is quite lovely. Your office is pretty!! TVs are so difficult to deal with when decorating, aren’t they? I wish they could just disappear when we aren’t watching them! 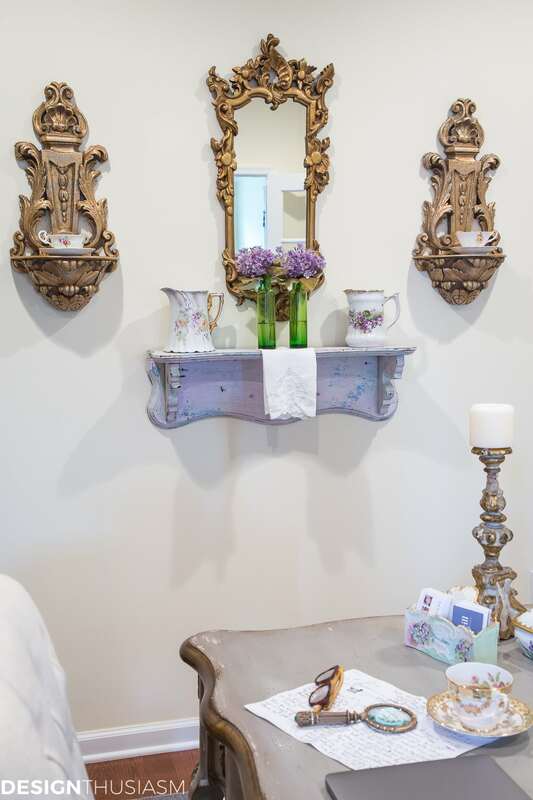 Love your arrangement you have on the wall! Beautiful job, Lory! 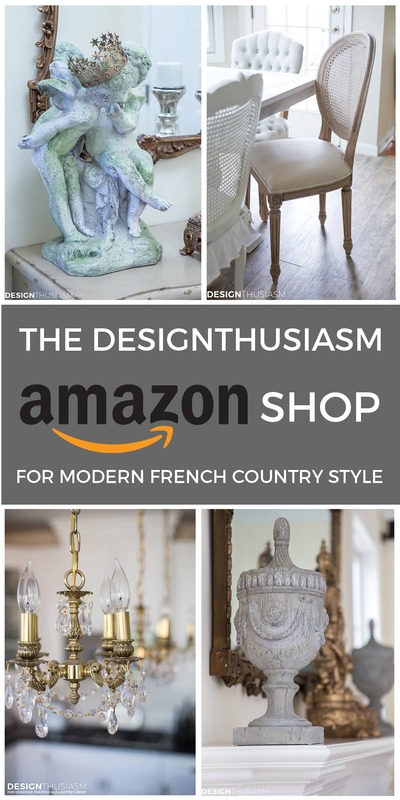 You know I’m coming for that gorgeous French candlestick, among other things, right? I always love seeing your process of defining your spaces, and they’re always stunning! Hugs! I agree that sometimes you have to live in a space for a while to see what it’s missing or needs. I love how you added the rug to pull everything together. The office looks lovely and very pulled together. Dream office spaces! Beautiful. 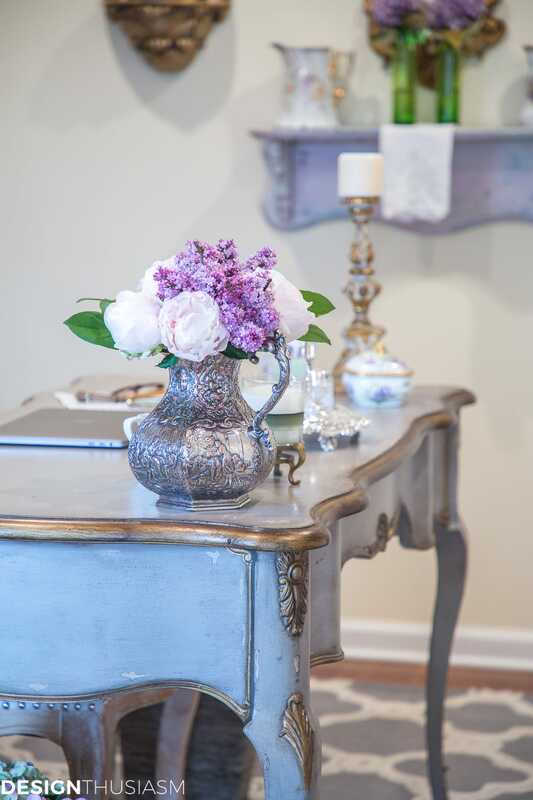 Love the vintage french style desks and french country furniture. Shared! clear your head prior to writing. I’ve had a hard time clearing my mind in getting my thoughts out.